(but you can, if TL is enabled). the Atmosphere is great but the scale feels wrong somehow. i dunno, great feeling map, but just has summit missing from it i think. This is really a good map. Some details are really missing in some select parts but the bots play extremely well. A very worthy map indeed. 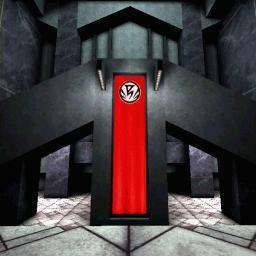 I remember my old Half-Life days back then when I saw this map. Oh yeah, did I mention about this map's gargantuan size? A map I like...not to heavy for my poor pentium 3, and in all it looks not to bad. Gameplay, is original. But not quiet the style I love. Architecture is above supreme, and the lightning face that's well done. In all not a great-revolution map, but a map who , potential, that evrybody must play it once.. But when I play it...then I realise, it's time for some news. Good map, great fun on the right server. Can't imagin playing this reg weapons though.